This is the first time I publish a review, but since I am learning japanese and this game is so much fun and so much useful I think it deserves visibility. 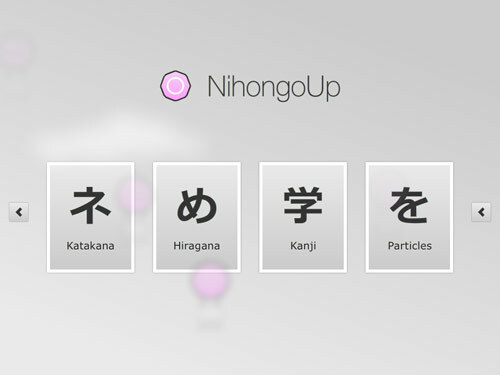 NihongoUp is a japanese learning game developed in Adobe AIR by Philip Seyfi. 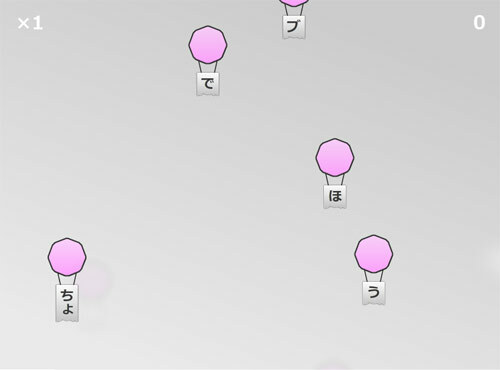 There are mainly two kinds of games, a typing one, used in the “Kana” section where lots of balloon comes down the screen with a japanese symbol attached. You have to type the translitterated kana before the balloon disappears to gain score points and raise the level number. It’s simply funny and perfect for someone at the beginning of the studying process. The other kind of game reuses the concept of the falling balloons but you simply have to choose between four possible answers to the question located at the bottom of the screen. 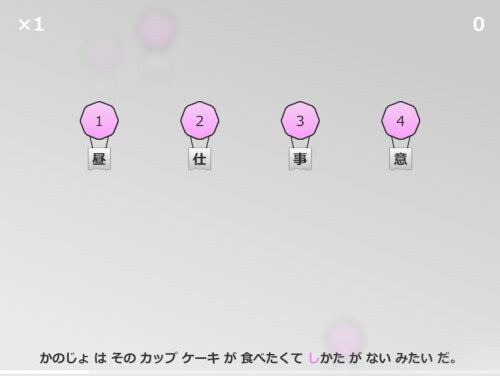 This game concept is used in the other sections, where you can train your Kanji knowledge, grammar skills or the richness of your japanese vocabulary. What else to say? It is well coded and the database is huge with 8000 10000 (!) records filled all the JLPT Kanjis and training sentences, so this game could really help the willing student to become a japanese language master, with fun. So if you are studying japanese and you are a flash developer (likely as you are reading this…), support this valuable work. A license serial number costs only $4.99 and before buying you can trying a free trial to test it out. Many people mistake Japanese with Chinese and think it’s so hard. But Japanese, is one of the most modern and easiest languages. A lot easier than English and German i believe. I’ve heard a lot of good things about Nihongo up… hmm, I would like to try it out as a complement to using my SRS flashcard software. Thanks for sharing!